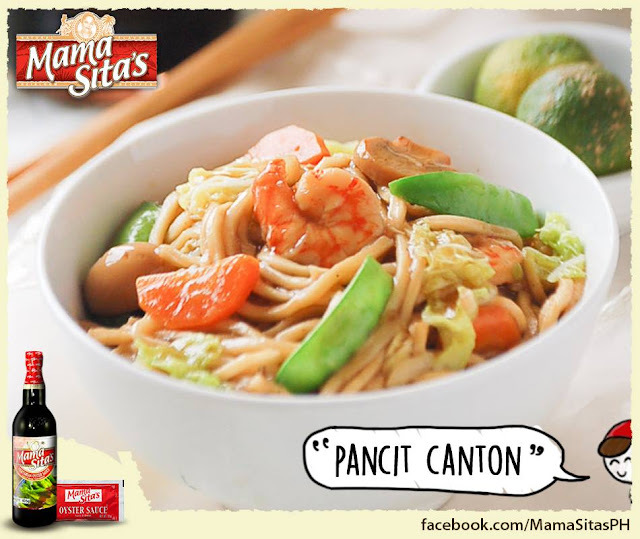 Mas sumasarap ang Pinoy favorite na Pancit Canton with Mama Sita's Oyster Sauce! Try this recipe out, Moms! 1. In a heated wok, saute onions until translucent. 2. Add the vegetables, pour the dissolved Mama Sita’s Chopsuey/Pancit Canton Mix, and Mama Sita’s Oyster Sauce. 3. Cover and cook over high heat until vegetables are done and the sauce has thickened. Add sesame oil and serve immediately.